Hi everyone, extra copies of the big Blu-Ray collection are still available for anyone who missed us over at Kickstarter. This special release was produced in a small run for the pledge drive. 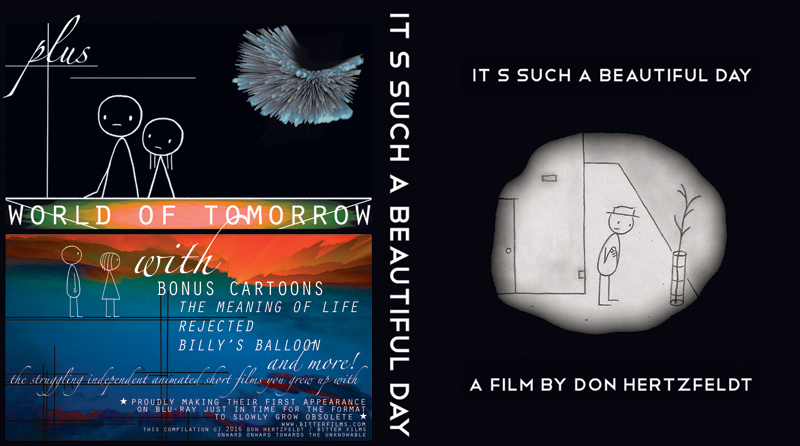 Also available below are remaining copies of the out-of-print Don Hertzfeldt: Volume 2 DVD from 2012. Sorry, the "Volume 1" DVD from 2006 is now completely sold out.